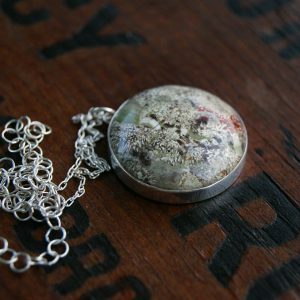 This stone measures 32 X 36 X 38 mm. Imperial Jasper comes from Mexico. 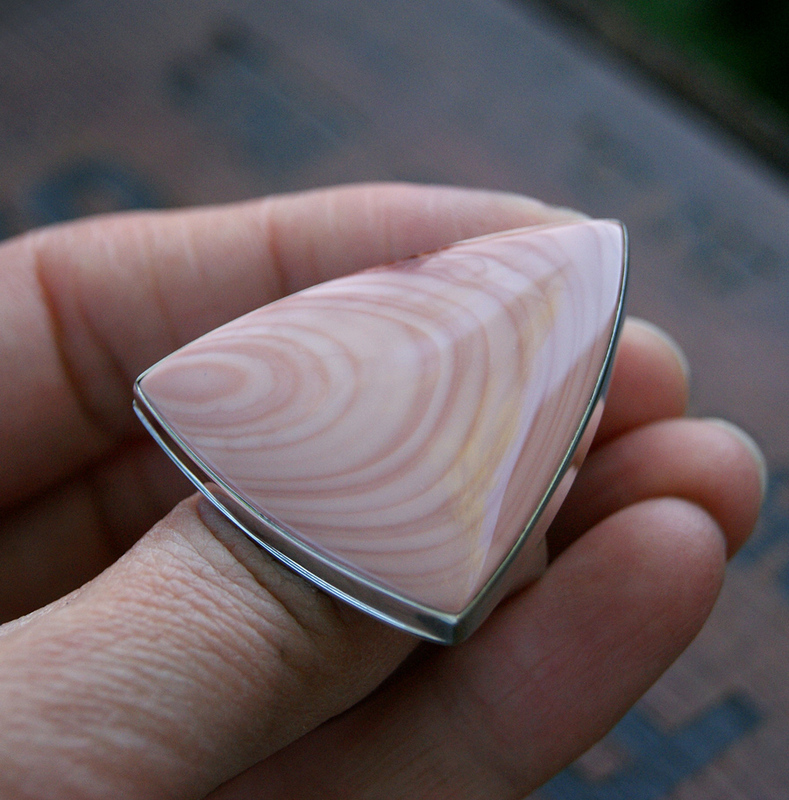 — which pairs soft, subtle colored, natural cabochons with silver. 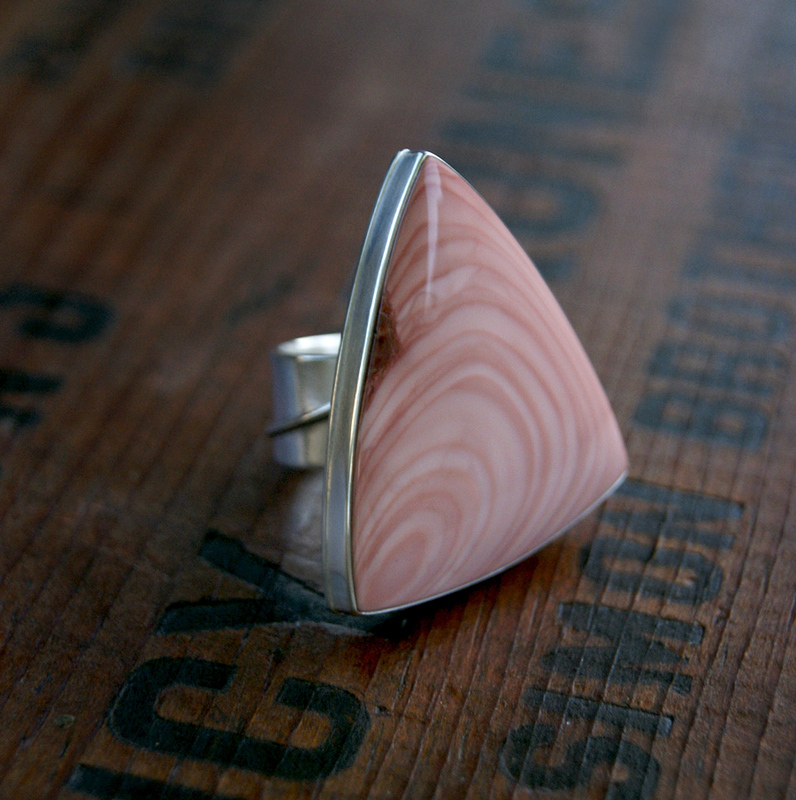 This ring features a lovely, large, soft rosy-pink triangle of Imperial Jasper. It’s pattern of orbs look very much like the rings you would find in a cross section of a tree. 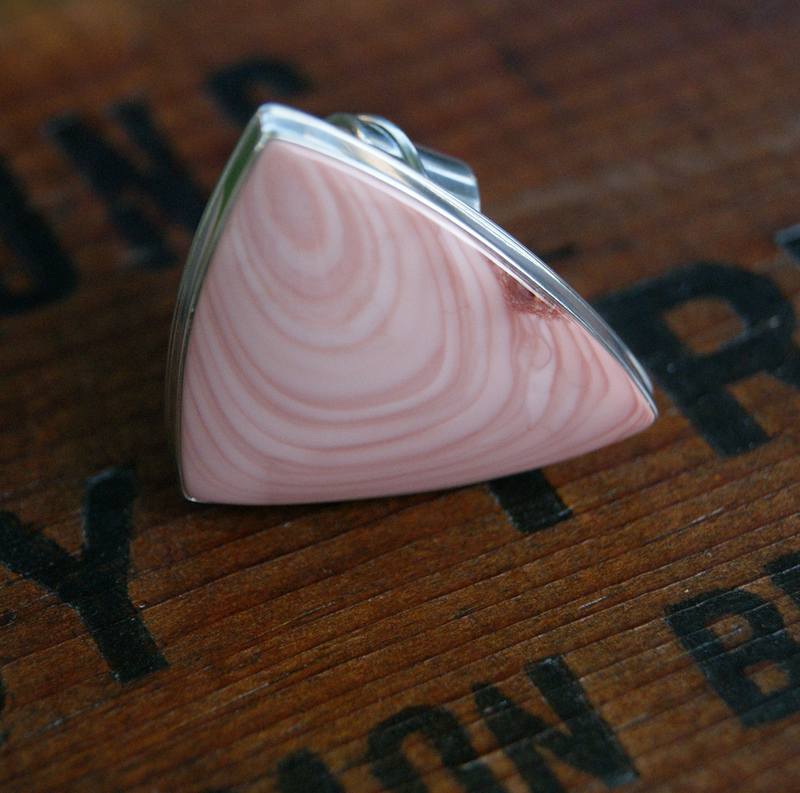 There is even a dark spot on one side of the stone that resembles a wood knot. 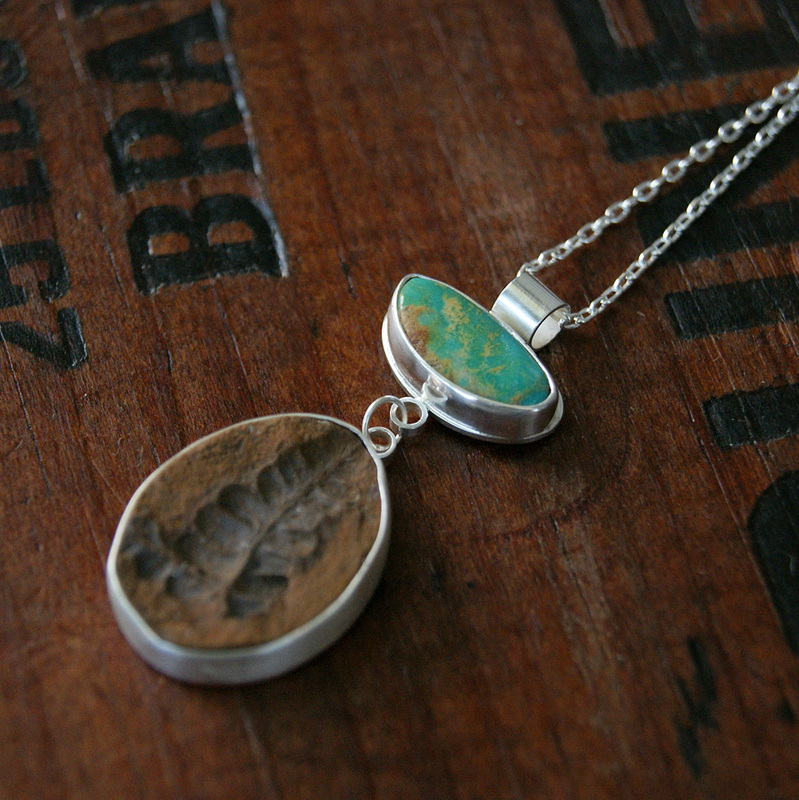 This piece is fabricated from sterling and fine silver. 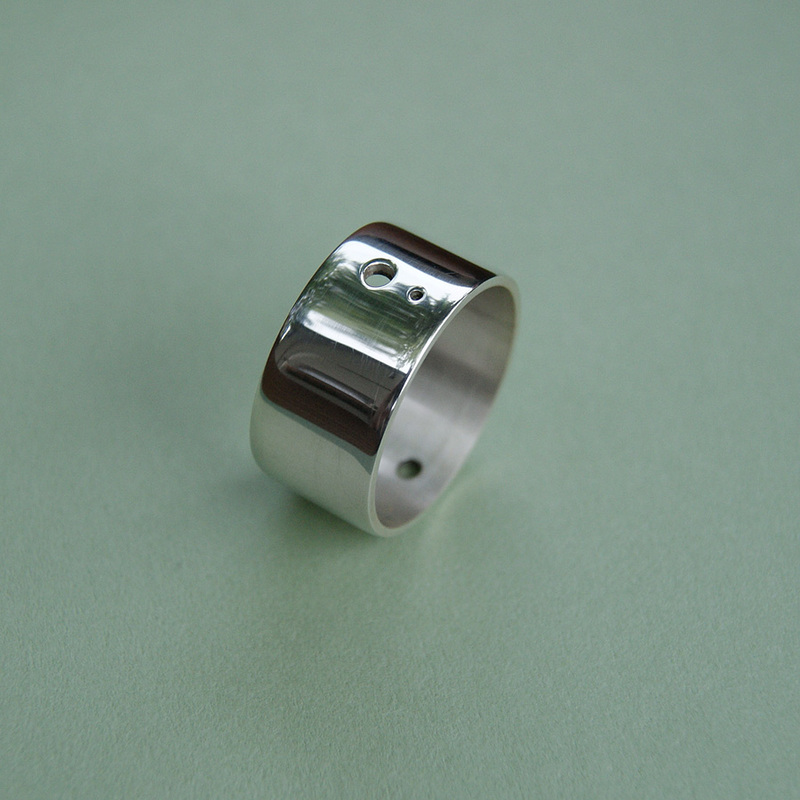 The band measures 10mm in width. I’ve detailed it with a single curve of silver wire. Two sides of the bezel cup have a slight ledge, one side is flush. 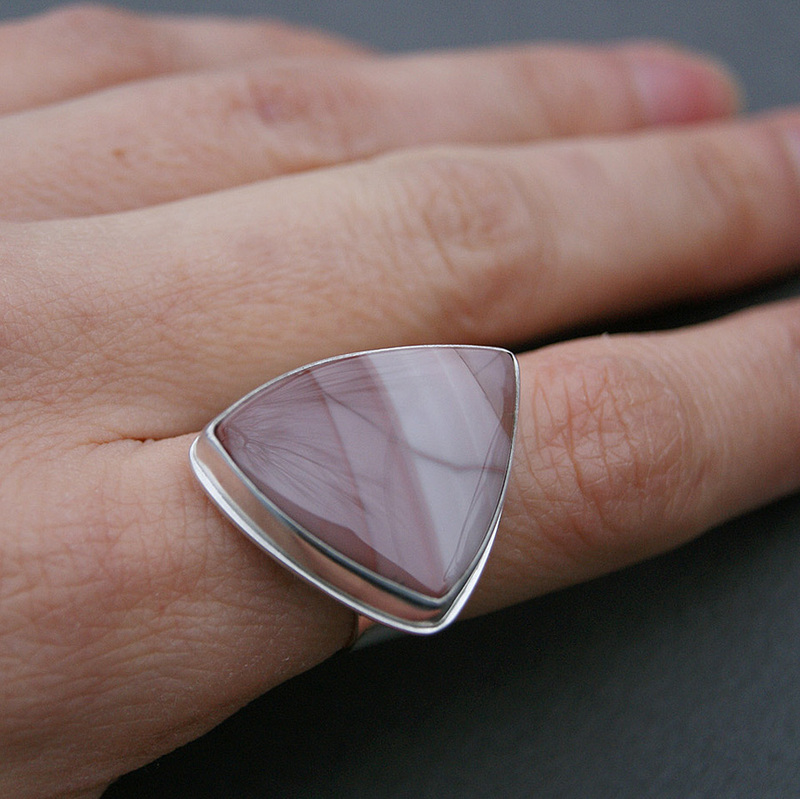 The front of the bezel cup and the band have been polished to a soft shine. 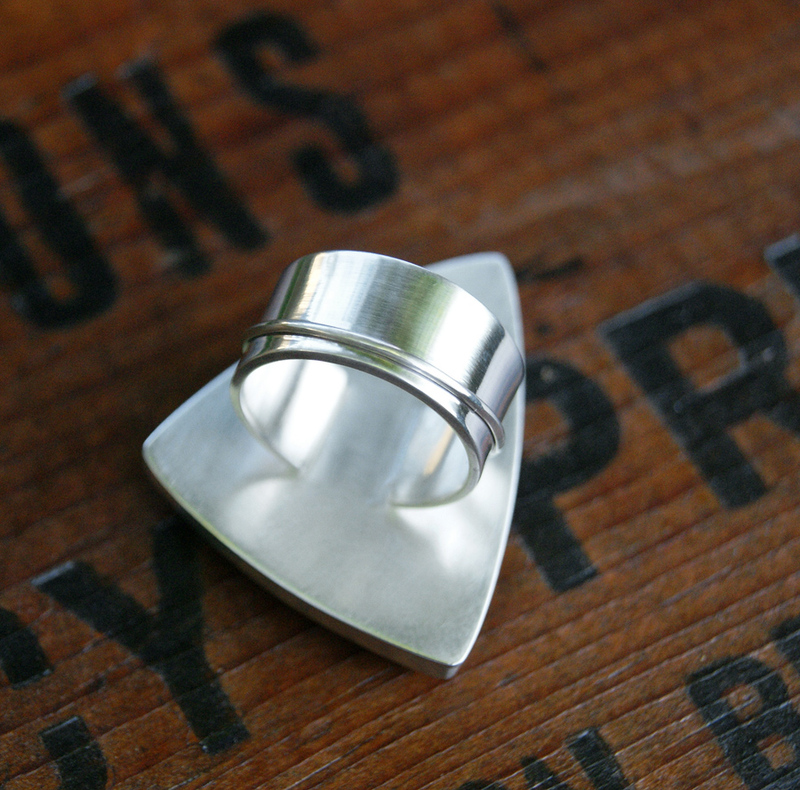 The underside of the bezel cup has a brushed finish. 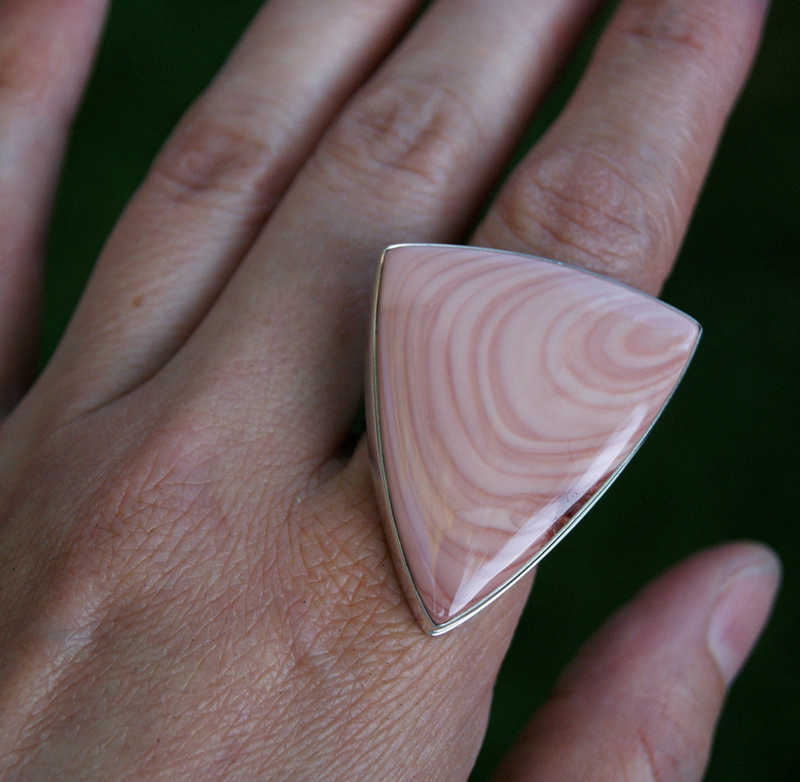 This is a large ring, bold, yet simple. It comfortably fits a size 8.5-8.75 finger. It cannot be resized.